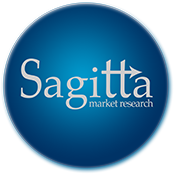 Sagitta Market Research Ltd has been testing products for FMCG companies and other manufacturers since 1999. We generally conduct product testing in a venue environment to ensure standardised conditions for the product being surveyed. Whether you require taste testing, fragrance testing, packaging testing or testing of other products using a shelf display methodology, we have the necessary expertise to carry out product testing research based on your precise requirements. Over the years, we have established a reliable network of venues across the UK. To ensure high footfalls and make your product testing research more effective (especially in the case of low penetration products), we use venues in central locations in most of the major cities throughout the UK. Whatever your requirements, we will find the suitable location for fieldwork. We have a specialist team of supervisors and interviewers who are highly experienced and skilled at setting up venues and products for testing. Working in accordance with the Market Research Society’s (MRS’) Code of Conduct, our team ensures the highest possible quality standards for your product testing, probing all the necessary details from the respondents questioned. Most of the venues that we use for product testing have Wi-Fi for online data collection. We offer CAWI (Computer Assisted Web Interviewing) using our iPads. We also offer CAPI (Computer Assisted Personal Interviewing) using our laptops or iPads. Please contact us to discuss your product testing requirements further.